Join us in raising funds and awareness for United Hatzalah of Israel. We are doing this In Memory Of Ezra Schwartz Z"L .
Over the past several months, Israel has faced daily terrorist attacks and unfortunately, in addition to the many injured, nearly two dozen people have prematurely lost their lives. 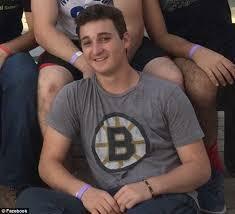 Among the victims of terror, none has hit closer to home than Ezra Schwartz, who was spending a gap year in Israel like so many other American students. Without ever knowing Ezra, it is not difficult to see how special he was. The stories that have been reported consistently paint the image of a young man devoted to performing good deeds and acts of kindness. 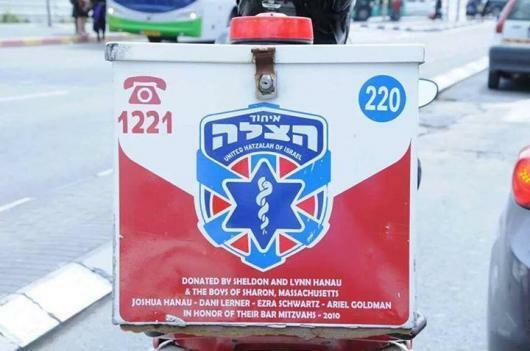 One particularly moving article noted that Ezra, together with a group from his hometown in Massachusetts, donated the proceeds of their bar mitzvah gifts to purchase an lifesaving ambucycle for United Hatzalah. This ambucycle goes around Jerusalem saving lives at any second of the day, all because of Ezra and his friends. At such a young age, Ezra was clearly dedicated to the bettering of Am Yisrael and saving lives. What a truly inspirational figure. As a global Jewish community, Am Yisrael, let’s come together and honor his memory by purchasing an Ambucycle in his name. With Hashem’s help, pairing the Ambucycle that Ezra donated with a second in his memory, we can save even more lives and be a true source of comfort to his family, friends and all of Am Yisrael. May this never have to be used.